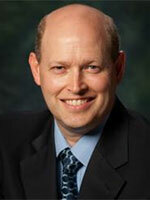 Jim Byford is the information technology manager for the College of Engineering. He is responsible for managing the College of Engineering IT Services. He has worked for the university for 13 years and has been with the College of Engineering a little over three years. He worked 10 years in administration as an IT manager for the president’s office. He was awarded the Staff Contribution Award in 2005. He earned a B.A.A.S. in applied technology and a M.S. in computer education from UNT.